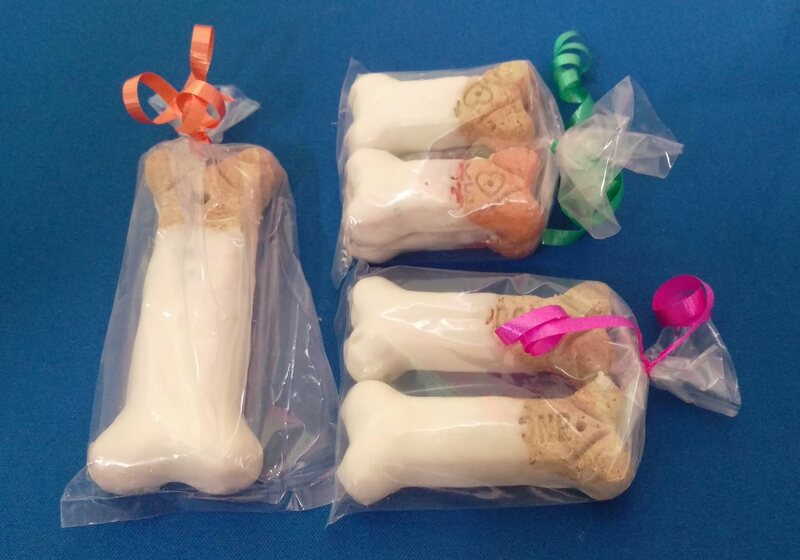 Hand Dipped Baked Pet Safe Treats. In three sizes small, medium and Large. Variations in individual size, shape, color, and weight are normal. Small packages contain 4 biscuits, medium contain two, and Large only one. INGREDIENTS: Dog Biscuits and vanilla coating.